This AR-15 scope features Bushnell's high quality multi-coated lenses, a standard 40mm objective, and a one inch diameter suitable for most US rings. It also comes packed with premium features that set it apart from the competition. 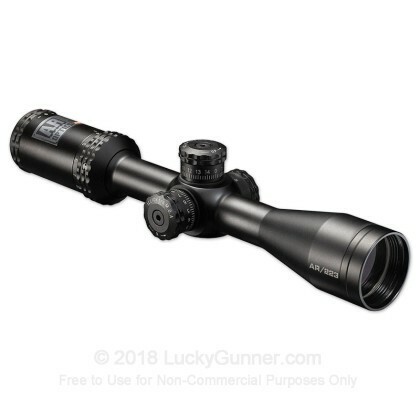 A variable 4.5-18x magnification range gives you a high degree of flexibility for precise shooting and rapid acquisition, while target turret 0.25 MOA adjustments for windage, parallax, and elevation make it easy as 1-2-3 to dial in. 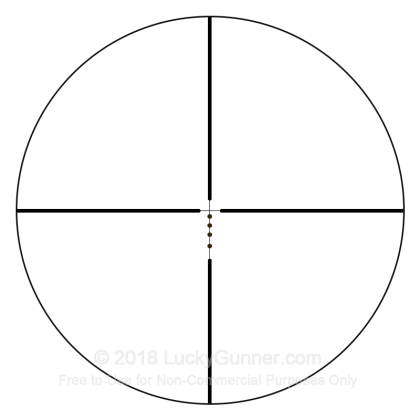 The scope features the Drop Zone 223 BDC reticle which is optimized to help you place 223/5.56 NATO bullets in the 55-62 grain range accurately out to 500 meters and beyond. Whether you're making precise target shots or dropping varmints, this scope makes the perfect optic for a medium or long range AR build!